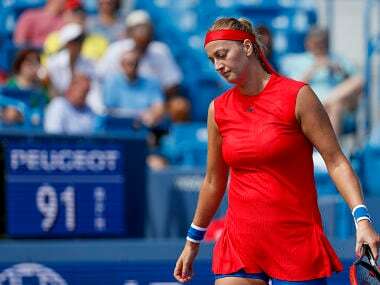 Dubai: Petra Kvitova succumbed to injury on Monday as the Czech star was forced to withdraw from the Dubai Championships, a day after lifting her second title of the year. The double Wimbledon winner informed organisers that a leg injury would prevent her from playing and deny her the chance for a third successive triumph after back-to-back titles in St Petersburg and Doha. Kvitova joins five-time Grand Slam champion Maria Sharapova (forearm) and former World No 1 Simona Halep (ankle) on the casualty list in Dubai. During her impressive run at last week's Qatar Open, Kvitova upset top-ranked Caroline Wozniacki and reigning Wimbledon champion Garbine Muguruza, in the semi-finals and final respectively. "I am really disappointed to be withdrawing," Kvitova said in a statement. "I spent my off-season in Dubai this year and was really looking forward to being back at a tournament where I have had some great results. "After playing a lot of tennis in the past few weeks, and winning the title (Sunday), my whole body is in much need of a rest. I can't wait to be back in Dubai next year and wish you all the best this week." 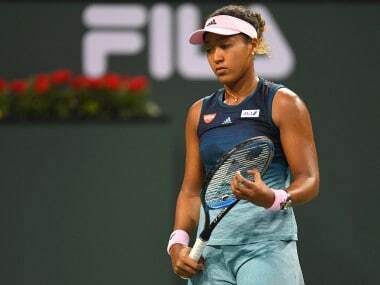 Japan's Naomi Osaka earned the first upset win of the week, knocking out eighth seed Kristina Mladenovic 6-2, 6-2 in 70 minutes with six breaks of serve. Elena Vesnina beat Peng Shuai 6-4, 7-5 after losing her last two matches to the Chinese player. Vesnina has played Dubai in seven of the last eight years but has never reached the fourth round. The World No 23 from Russia is eager to see some thoroughbred horse racing in the emirate during her time off court. "I really want to see the horse riding, I heard that it's really big here. It's one of the best in the world. Massive stadium. "Actually, that's one of my dreams, to visit the horse riding, horse racing, to see the atmosphere, the people around. I think it's something incredible." Her next opponent will be Roland Garros champion Jelena Ostapenko in the second round. Russian Daria Kasatkina put out 2012 winner Agnieszka Radwanska 7-5, 6-4, with the 31st-ranked Pole still not back to peak performance after an injury-plagued 2017.